Drunk driving leads to tragic results. This is one of the many truths that we confront regularly at The Brod Firm. We can help our clients, including injured victims and grieving families, recover damages in California’s civil courts. We cannot, however, answer one of the questions that we hear time and time again – How can an otherwise responsible individual get behind the wheel while intoxicated when the dangers associated with drunk driving are so well known? The San Francisco Chronicle reported that a California court sentenced Debbie Sumi to ten years in prison for the accident that claimed three lives. The first victim, Sumi’s fiancée, was partially ejected from Sumi’s Jeep Cherokee when it rear-ended a stopped vehicle on Highway 78 in San Diego County. Two other women who were standing by the second car were also killed in the crash. According to prosecutors, Debbie Sumi’s blood alcohol level was more than three times the legal limit at the time of the crash. 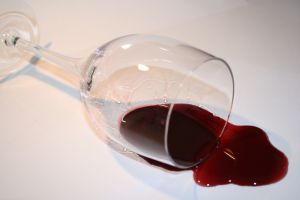 Nearly thirty people in the United States die as a result of motor vehicle accidents involving at least one alcohol-impaired driver in the course of a single day. This translates to one death every 48 minutes. It is just one of the statistics on the Center for Disease Control’s (“CDC”) Impaired Driving factsheet. The information sheet notes that 10,228 people died in alcohol-involved crashes in the U.S. during 2010, a number that constitutes nearly a third (31%) of all motor-vehicle fatalities nationwide. Additionally, about 18% of driver deaths involved a drug other than alcohol, although these other intoxicants are frequently used in conjunction with alcohol so the figure overlaps the prior percentage. Relying on these statistics and other DUI studies, the CDC has identified three groups that are most at risk for harm stemming from intoxicated driving. These groups are: 1) Young people – Drivers between 21 and 24 account for 34% of fatal crashes involving an over-the-limit driver; 2) Motorcyclists – 28% of motorcycle rider fatalities in 2010 involved a rider with a BAC over the 0.08% legal limit; 3) Drivers with prior convictions for DUI/DWI. We support community and government-based efforts to prevent drunk driving deaths and injuries. Effectively and consistently enforcing the law, including revoking the licenses of drunk drivers, is critical. Studies show that sobriety checkpoints help reduce the number of alcohol-related accidents, usually by about 9%. Community-based initiatives have also proven effective. Another tool with proven results is requiring DUI offenders to undergo a mandatory substance abuse assessment, followed by treatment where deemed appropriate. The CDC has also raised several other proposals including reducing the legal limit (now at 0.08% in all states) to 0.05%, increasing both federal and state excise taxes, and instituting mandatory breathalyzer testing following any injury-causing motor vehicle accident. Individuals also play a vital role in preventing alcohol-related car accidents. If you plan to drink, make transportation plans in advance such as choosing a designated driver or planning to call a taxi. Don’t allow a friend to drive drunk; it is better to take someone’s keys and face a short-term argument than to face a lifetime of regrets. If you are hosting event where alcohol will be consumed, remind your guests to plan ahead, offer non-alcoholic alternatives for sober drivers, and keep the number of a taxi company handy. Remember that only time, not coffee or a shower, can allow someone to sober up after drinking. We can’t answer the “why” of drunk driving. We can, however, continue to use this site to provide information about drinking and driving with the hope that it will convince even one person decide to say no to driving while intoxicated. We can also continue to help the victims of San Francisco drunk driving accidents. Civil injury suits are particularly essential to victims who suffer serious, catastrophic injuries that will require life-long medical and personal care. We also believe that civil injury suits are one more deterrent against drunk driving and we hope they allow one tragedy to help prevent another.